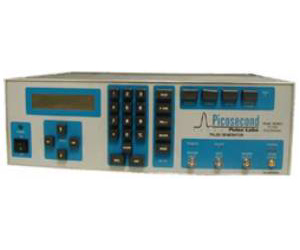 High-speed (<300 ps risetime) pulse generator with excellent transient response with minimal overshoot, ringing and sag. The amplitude and baseline offset are adjustable. The pulse shape from this standards-quality generator is extremely stable as the amplitude, duration, and pulse repetition rate are changed.